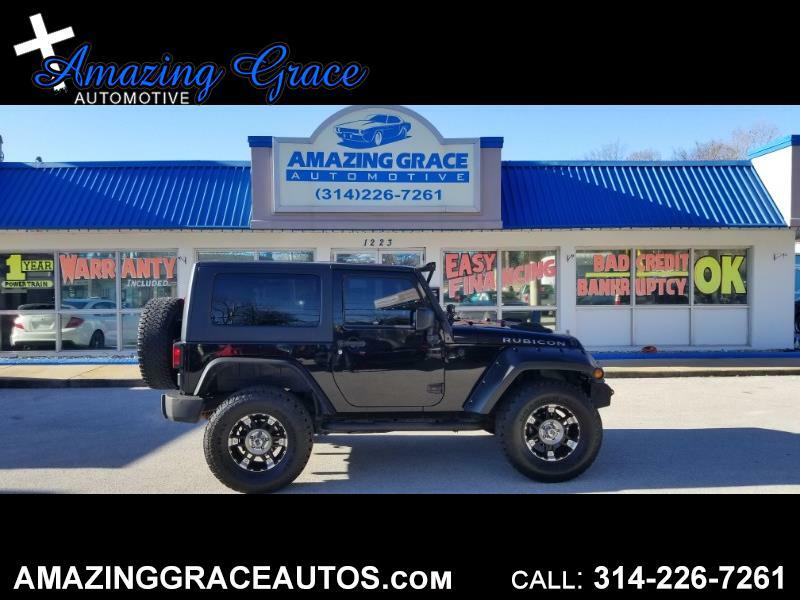 You have to come check out this 2009 Jeep Wrangler Rubicon 4x4 2 Door Hard Top with an automatic transmission. This Jeep has a clean Accident Free Auto Check Report. You will love this Jeep if you come see it in person! Very nice inside and out! Runs and drives smooth! You will be proud to drive up in front of family and friends in your new Jeep! This Jeep is powered by a strong and fuel efficient 3.8L V6 that is paired with a smooth shifting Automatic transmission with overdrive! The Hard Top is in excellent condition! Loaded with tons of features including: Navigation, Premium Sound, AM/FM/CD/MP3, Rear Seat, Keyless Entry, Premium Sound, Power Windows, Locks, Mirrors, Tilt Wheel, Hill Start Assist, Traction Control, Stability Control, 4 Wheel ABS Brakes, Anti-Theft System, Sirius Satellite Radio, Mopar Connect, Fog Lights, Premium Alloy Wheels, Running Boards, Light Bar, and much more!